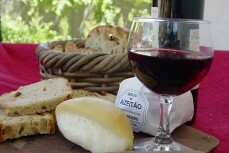 Arrabida: Wine, cheese & tiles » Lisbon stories - belong to the city! Did you know that it’s forbidden to kill spiders in some wine cellars? Start the day crossing the river and enjoying the views from the 25 de Abril bridge. 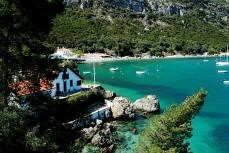 Enjoy the scenic drive through Arrabida Mountain, which will take us to Azeitão. 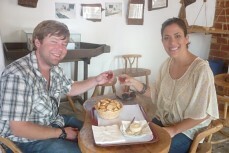 This small village holds one of the oldest wineries in the world and one of the tastiest pastries too. Choose which pastry is your favorite by trying a couple regional sweets in a pastry shop that has been open for over a century. 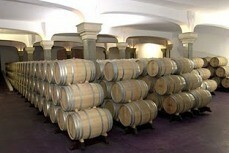 Afterwards, visit one of the oldest wineries in the world: Jose Maria da Fonseca. Learn everything about these wines and discover why it’s forbidden to kill spiders in the wine cellars. 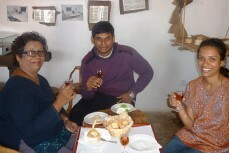 Delight your senses with a wine tasting and feel the caramelized taste of Moscatel in your mouth. After a relaxed petiscos “tapas” style lunch we will drive through the scenic sites of Arrabida Mountain and its beaches, allowing amazing photo opps. 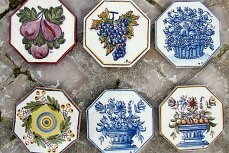 The day will follow with the visit to another small winery and wine tasting. If nature and wildlife is your thing, we can skip the second winery and join a boat tour to catch a glimpse of the area’s wild dolphins. This family of dolphin lives wildly in the river and can be seen pretty much every day. You can’t swim with them but will be able to take some close-ups. - Lunch, drinks and souvenirs. - Extra 30€ per person if you opt for the dolphin watch cruise. Your tour guide will pick you in your hotel lobby or cruise dock at your most convenient time. Please notice that the other visits are not private and we may need to join another group (in the same language) in the winery and in the boat. Your tour guide will be with you at all times. In case you decide to do the dolphin watch tour please bring a swimsuit, sun lotion and a hat. You may get some splashed or be able to get in the water: so a beach towel can be convenient. 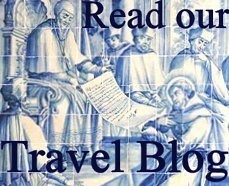 This program and itinerary are fully customizable. All emails will be answered within less than 24 hours. Powered by: Best Web Hosting and Affiliate Programs Directory.